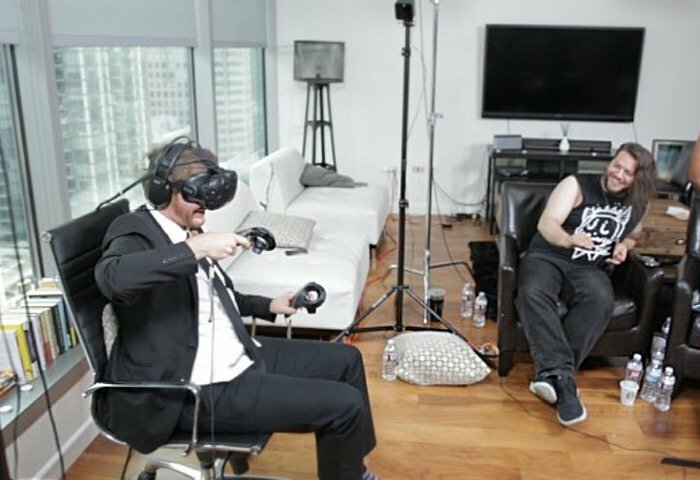 Derek Westerman has set a new virtual reality Guinness World Record after wearing a HTV Vive VR headset and immersing himself in the same VR environment for 25 hours straight. To set the new VR record Guinness stipulated that Derek would need to play the same VR application or game for the complete duration of the record, and his choice was Tilt Brush allowing him to paint in virtual reality the 25 hours non-stop. During this time Derek was fed and needed to take call of nature breaks into a bucket, which unfortunately he was also sick into around the 17 hour mark. Check out the video below to learn more about this first virtual reality Guinness World Record which is sure to inspire others to have a shot at breaking it. Tilt Brush the application used to set the VR Guinness World Record is a new application that has been specifically designed to let users paint in 3D space using virtual reality hardware. “Your room is your canvas. Your palette is your imagination. The possibilities are endless.” says its creators.